It has been a wild and busy ride for many of us, surprisingly the energy and intensity of the days has increased, especially in the last three weeks since the eclipses. It has been a rough ride for many of us. Today is the day 13 Jaguar (Ix or Balam) in the Mayan Calendar system. The number 13 closes out a 13 day cycle which was carried by the sign Ik’, or Wind. This is definitely part of the reason it has been such a rough and change filled ride, with a special level of chaos in the communication department. Ik’ is all about the winds of change, breath and communication. This sign also purifies and cleanses. That said, 13 Jaguar is a powerfully mystical day calling forth archetypal and ancestral power, and a deep relationship to the dark forest and its mysteries. 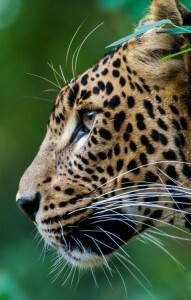 The jaguar is about cultivating one’s higher powers and senses, adapting to the environment, and moving with skill and grace. The number 13 adds to the power of this sign, binding the day to the 13 heavens and the realm of the ancestors even more tightly. Light a candle for the jaguar today if you were born on this day, if you are a spiritual practitioner of any kind, or to honor the forest and the ancestors. Tomorrow begins the trecena of Eagle (Men/ Tsikin)…. more to come!